Different uses for Aluminium Extrusions in Vehicles. There are many uses for metal extrusions and metal mouldings made of aluminium. These metal structures are used when a degree of tensile strengths is needed along with some flexibility whilst supporting the maximum weight possible. 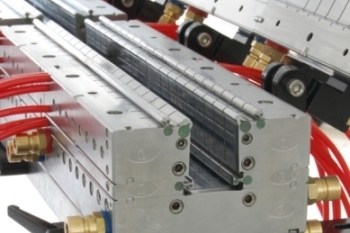 Many manufacturers the use aluminium extrusions tend to find that they are great for installing in demanding structural applications which are specifically designed to provide functionality whilst keep the weight and strength at its highest. Aluminium extrusions can be used to create sunroof channels. This is because the material allows multiple features for a reduced cost which is easier to assemble and incorporates a smaller number of parts. There are specific requirements for sunroof channels, a sliding system which is smooth and includes a low friction surface which is also durable. To produce these structures, manufacturers use mill-product extensions with a particularly high quality surface finish which is produced through close tooling and process control. It’s also possible to anodise the metal giving it a layer of aluminium oxide on the surface which is much harder and tougher than the metal alloy itself. Aluminium extrusions are used for roof rails due to the properties of the metal. The roof rails can be constructed using a light and aesthetically pleasing metal without compromising the weight of the car. Again these form components of a multi-part assembly so consistency and yield stresses are top priority for manufacturers. Side intrusion beams are gaining in popularity and are expected to fit as a standard safety feature in the majority of cars. Again, using aluminium allows extra safety features to be added to cars without much additional weight. These parts are bought as sub-assemblies and not individual parts meaning the beams can be created ready to fit into vehicle doors. Crush cans make good use of the low density of aluminium as well as the ability to effectively absorb energy, which is greater than steel. Manufacture of a simple section with high extrusion throughputs and material recovery rates produces a structure which will collapse in a very controlled manner. This gives the maximum possible energy absorption for maximum safety to drivers and passengers of the vehicles. It may not be practical to obtain customer aluminium mouldings for small or personal workshop projects; it’s possible for you DIY enthusiasts to make use of specialist metal cutting services that allow metal products such as aluminium extrusions in a range of shapes and alloys. There are online stores such as www.clickmetal.co.uk that are great for hobbyists and small businesses. Free shipping is offered on bulk orders over a specific value, with additional benefits for combining orders with other local enthusiasts or procuring material for larger projects.